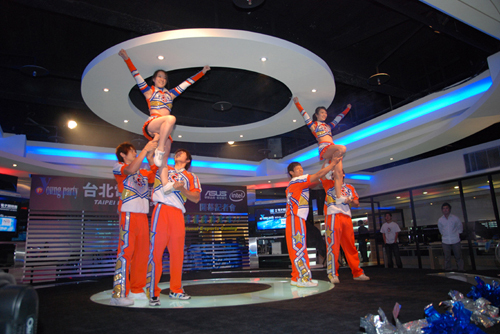 Cyber Café, or Internet Café, is a very famous and popular entertainment industry in Asia. It is a space to provide customers using PC to access to Internet. In some countries, usually in Africa, which do not easily to access to Internet, people regard Internet Café as a place to work – they email and they search some information on line. However, Asian usually regards Internet Café as an entertainment industry, and people usually play on-line game there. Usually Internet Café offers customer a PC with limited space. However, in some countries, such as Japan, Internet Café provides service other than just using PC and simple drinks. Sometime, Internet Café in Japan provides personal space to use PC. Customer could order or have free food and beverages without leaving the store, read various magazines and manga (comic books), and take a shower in the store. Some people even pay this kind of private space as their temporary refuge if they do not have money to rent a room or studio. You can watch this video from Youtube, which shows you how amazing a Japanese Internet Cafe is. Companies in this industry would sell their space as facility (PC) or sometimes as a booth, a room with a PC, and charge customers in a fixed price per few hours, or by different time of day as well as weekday vs. weekend. Therefore, the way they charge customer may vary and be complicated. Internet Café usually sell the space implicitly. Companies would split the space into different category – an open space, semi-private space, or a private room. However, companies would only have one category in each store. Since Internet Café define the space by company rather than by customers, company sells the space implicitly. Except selling the space regularly, some big Internet Café with all open space rents whole space for a gaming event, or company might rent its PCs for few days. 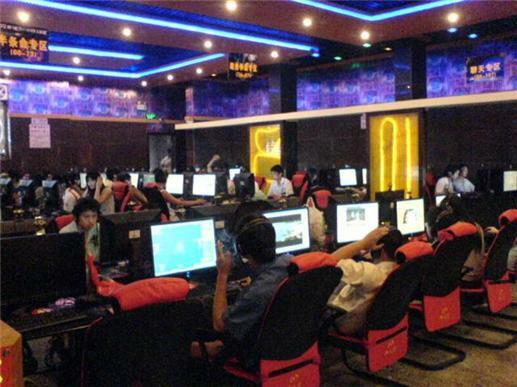 Since most of Internet Café is a part of entertainment industry, the environment usually is kind of noisy. I have been to Internet Café in Korean because I have to check my email; however, it was really irritating since people smoke and the sound of game were very loud. I believe that there must be a demand that people who need to go to Internet Café rather than just for fun and they need some place quite. 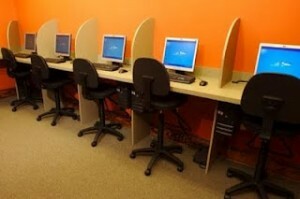 Therefore, Internet Café may split the space as quiet zone or non-smoking zone. In this case, the company may use two different areas flexible – when there is no demand for quiet zone, company in Asia could sell this area as a regular area. For those companies out of Asia may create a gaming zone. Most of time, Internet Café sell time explicitly. At beginning, companies in this industry usually sell the space based on serving hours. For example, USD$6.4 for the first half hour and USD$3.2 per 15 minutes thereafter. In this case, Internet Café is in quadrant 3, fixed price and un-predictable time, since company would not know how long time that the customer would use its facility. Therefore, most of Internet Café in Asia began to develop prepaid system. Customer could prepay for 1 hour, 3 hours, 4 hours, 8hours, and even 12 hours with certain discount price. Though customers could always change their ideas to extend the time (usually not shorten), at least the duration is comparatively predictable. Some Internet Café would charge you by time of day (as the video above to introduce Japanese Internet Café), or by weekday or weekend. I would say that Internet Café is trying to move from quadrant 3 to quadrant 1 (re-define the duration and control the time), and even slightly to close to quadrant 2 (dynamic pricing). Of course, according to what I wrote on the space section, Internet Café would sell time implicitly when there is an event. It is kind of pity that I could not find that how much Internet Café would charge for an event. In this industry, there are few rate fences, no matter in physical or non-physical. Although there are different categories of space, company tends to have one category of space at one time. 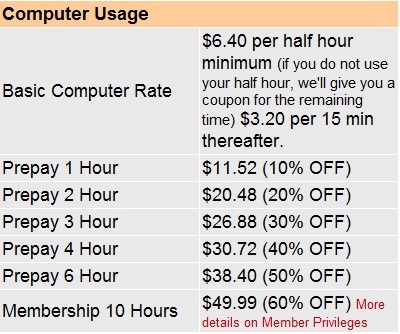 Internet Café would not limit the duration of computer usage because company prefers that customer stays in Internet Café as long as possible. However, there are two rate fences which are non-physical. Membership. Usually membership could have a free drink or more discount. Minimum F&B consumption. For those extremely cheap Internet Cafes, they do not offer free drinks. Instead, those companies request for minimum F&B consumption. Most of Asian Internet Café are not expensive; therefore, companies would provide various food and beverage and encourage customers to order it. Sometimes, food and beverage functions as major revenue generator for Internet Café. That is why Internet Café in Asia usually is without time limitation and tries to keep customer to stay in store longer. 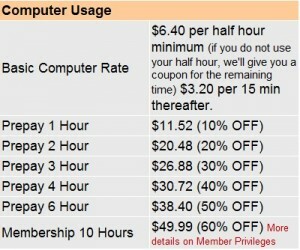 In some popular time slot, such as evening, companies may limit the time of usage to increase revenue since the shorter the duration, the more Internet Café earn regarding computer usage. Meanwhile, during meal time, Internet Café may increase the minimum F&B consumption. EventBH Business matchmaking app – event management software, provides an ultimate platform to create and nurture business relationships. Engagement through social channels, marketing material sharing, messaging, commenting and rating the attendee profiles are excellently performed by our business matchmaking app. It is a great thing which you can do for customers many people using PC to access the Internet. keep posting. EventBH presents a powerful Event management software Canada solution for your event like the trade show, expo, b2b event, b2c event, academic event, conference, seminar, etc.